Hello guys back with new unlimited reliance 3g internet trick for free. You can enjoy a decent speed for both 2g and 3g networks. As we find lots of tips and tricks on the internet, but some of them are fraud or some won't work or some expired one. 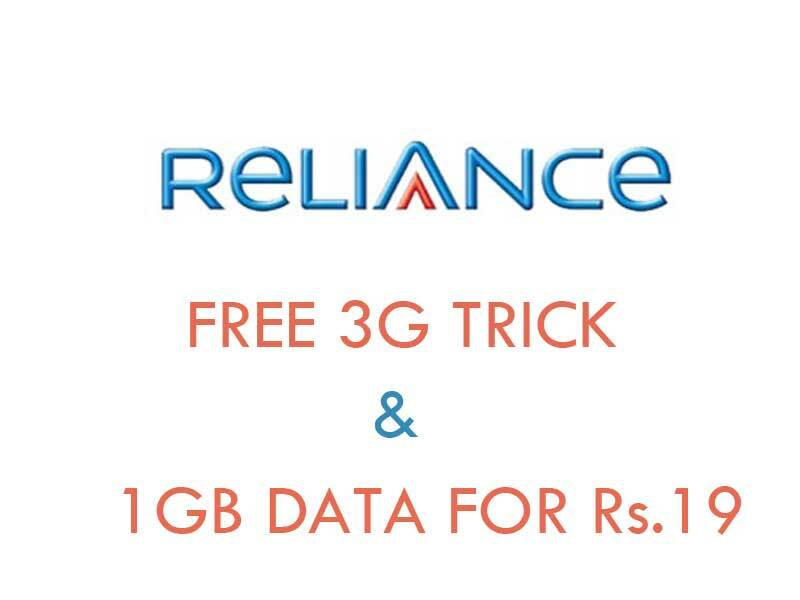 This tricks supports and works on all reliance SIM's. And also 3G supported devices. This trick is working almost all over the India without blocking the sim. Enjoy unlimited free surfing and browsing on reliance sim. It supports up to 1mbps speed without interruption. Pretty cool trick from reliance for free browsing. Below are the step by step instructions to get the trick for free. Step 1 : Go to Firefox menu and then options. Step 2 : Select the advance category. Step 3 : Then after Network Band. Step 4 : Click on Setting Tab. Step 5 : Pop up the Connection Settings. Step 6 : Select Manual Proxy Configuration. Step 7 : Enter Proxy Information in below fields. leave it remaining fields blank and save settings. Above is the step by step procedure for free internet on reliance. Here's another trick where you can get 3G 1Gb internet for 19rs. Below are the steps for 19rs. 3G internet tricks. Dail *129# from your reliance sim and select 1. Activate 2G pack for 9rs. Now you activated 2g internet pack for 1 day. It's time to convert 2g data to 3g, Just dail *565*010# from your dailer menu. It will charge 10rs. for 3g data. Here you done! Enjoy 3G 1GB data for free. Better to maintain zero balance. Better to have minimum internet data pack. Above are two awesome tricks to get free internet data as well as paid ones as like a premium one. Follow the instructions carefully to get free data pack. Still find any problems just leave a query in comments and also don't forget to share with your friends too.